The Branson Activities Staff is ready to make your summer family vacation one to remember! During your stay at one of our Branson resorts, there will be various daily activities on-site for kids and adults. From bingo to barbecues, shuffleboard to ice cream socials, we’ll have many opportunities for friendly competition and relaxing recreation. Some of Branson’s finest entertainers, including the Hughes Brothers and magician Mike Bliss, perform exclusive shows on-site for our Owners and Guests. 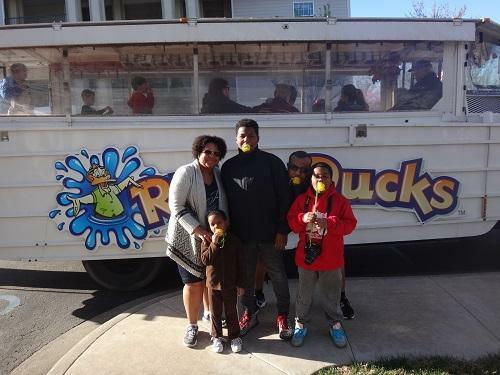 Climb aboard a WWII amphibious vehicle for some great family fun with Ride the Ducks and experience an exciting and entertaining tour of Branson on land and water. Here are some of the activity highlights directly from your Branson Activities Staff. 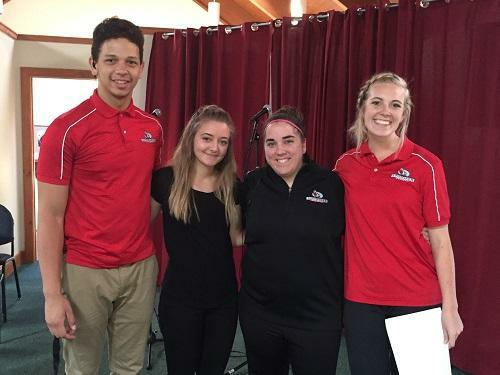 The 2016 Branson activities are off to an amazing start! With a new year, comes many new activities. This year the Branson Activities staff will be hosting several new crafts, shows, entertainment, games and tournaments! Guests will be able to participate in weekly dive in movies, karaoke nights, family painting, pool volleyball tournaments, and so much more! Featured events such as Wake up with the Bretts, Ride The Ducks, and our Fun Food and BBQ will be offered weekly for guest enjoyment. The Branson Fun Team is so excited to kick the summer off and meet the many guests that come to visit! I am definitely looking forward to summer! I am excited for the interaction that I will be able to have with the many guests that come and go. I know that when the guests come, they should come expecting fun and a great time, and expect to leave with great memories! The activity I’m looking forward to the most is definitely the outdoor pool games! Being able to enjoy the hot summer days next to an outdoor pool, having fun with guests sounds like a great time to me!! I am so excited to be working at Spinnaker Resorts this summer! For the little time that I have been here, I have met so many of the entertainers, made close friends with my fellow employees, and met people all the way from Canada to Utah. I am excited this summer to be able to interact with guests and be sure they have the best experience while they stay at Spinnaker. The guests can look forward to activities every day that make them laugh and have the time of their lives!